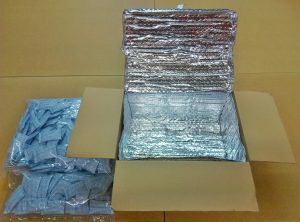 At least 7% of temperature-sensitive medical products suffer significant potency degradation in transit. 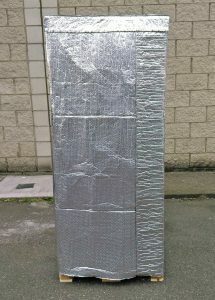 Our custom designed Thermal Insulation bags are made with two layers of bubble and two layers of foil making them a perfect packing solution for exporting, shipping and long-term storage with added cushioning and protection. 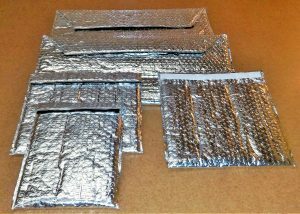 Designed to transport temperature-sensitive medications, chemicals and other delicate products protecting them from damaging temperatures, shocks, and light. 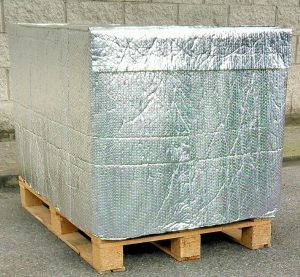 All of our solutions are item-specific and we offer a number of products, including: Pallet Covers, Box Liners & Envelopes. We are a member of the Irish Exporter’s Association which connects over 600 companies involved in exporting abroad from Ireland. Find our Irish Exporter’s Association profile here. Any questions? Why not contact us today?